Método: This ELISA kit uses the Sandwich-ELISA principle. 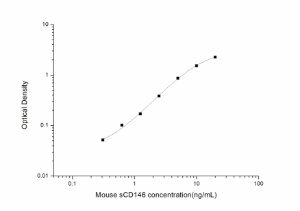 The micro ELISA plate provided in this kit has been pre-coated with an antibody specific to Mouse FLT1/VEGFR1. Standards or samples are added to the micro ELISA plate wells and combined with the specific antibody. Then a biotinylated detection antibody specific for Mouse FLT1/VEGFR1 and Avidin-Horseradish Peroxidase (HRP) conjugate are added successively to each micro plate well and incubated. Free components are washed away. The substrate solution is added to each well. 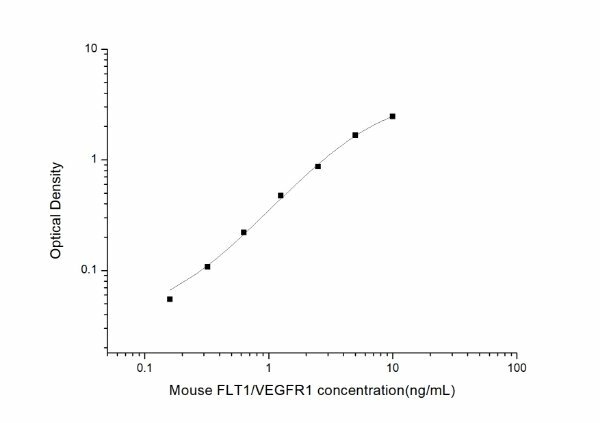 Only those wells that contain Mouse FLT1/VEGFR1, biotinylated detection antibody and Avidin-HRP conjugate will appear blue in color. The enzyme-substrate reaction is terminated by the addition of stop solution and the color turns yellow. The optical density (OD) is measured spectrophotometrically at a wavelength of 450 nm ± 2 nm. 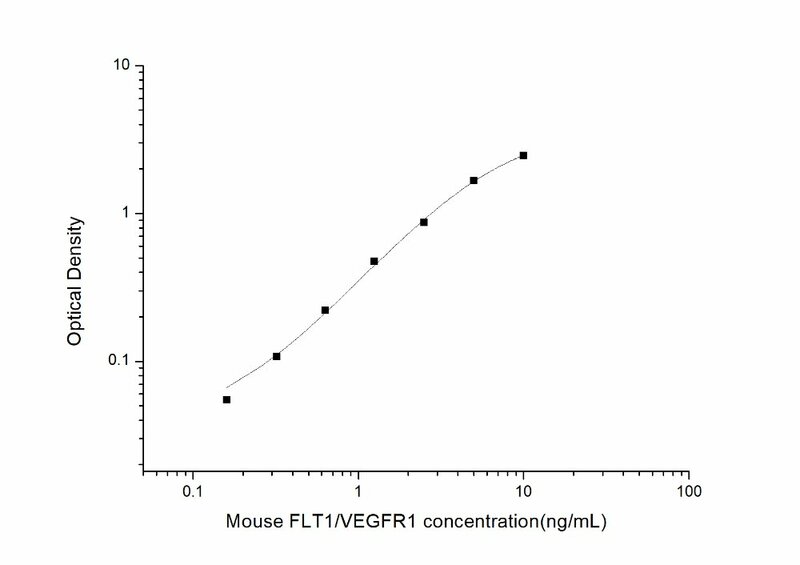 The OD value is proportional to the concentration of Mouse FLT1/VEGFR1. 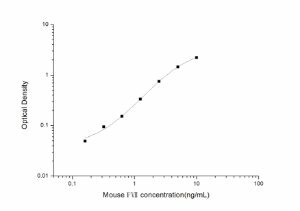 You can calculate the concentration of Mouse FLT1/VEGFR1 in the samples by comparing the OD of the samples to the standard curve.